You’ve spent years cultivating an online persona and archive of your life: a Facebook account detailing your daily life and personal history; an e-mail account brimming with personal and business communications; a Flickr album and, perhaps, accounts at some sites you would rather your family didn't know about. Because it’s all online, stored in digital bits that theoretically last forever, you can feel secure that it will all be there when you wake up in the morning. But what happens to all this stuff the morning you don’t wake up––after your death? Will you be able to leave your digital persona in the hands of heirs, like a shoebox full of old family photos? Will all your accounts simply evaporate over time? Can you hide those embarrassing photos, emails and accounts from family and friends you don’t want ever to see them, maintaining your privacy for eternity? These are questions now being addressed by a growing industry of dedicated “digital estate” websites and planners, including some who came together in March at the industry’s first convention––dubbed Digital Death Day. Overall nationwide, the category of digital assets is ill-defined or completely avoided in estate law, which is set by individual states, notes Nathan Dosch, an attorney at the law firm of Neider & Boucher in Madison, WI, who specializes in estate planning for digital property and digital assets. “Our lawmakers certainly aren’t on the forefront of technical advances and the things we worry about.” As a result, without a plan, what may happen to any of your digital assets will largely depend on both the nature of the asset and where it is kept online, Dosch says. A website domain name (URL) registered to you is a true asset that is transferable and passes with the residue of an estate, and your blog content firmly belongs to you under copyright law. On the other hand, an online account with a website such as Facebook or YouTube or Flickr is not a true asset in a property sense; all you have is a license to use the site, and often transferability upon death is prohibited by the site’s “terms of service,” which is a binding contract, he explains. While by law you own all the photos and other content you generate, and the site has a non-exclusive license to use it, if your heirs can’t access your account, they can’t access your property. Of particular importance is access to e-mail accounts. While in the past heirs discovered assets like bank accounts by finding statements in the mail, today many clues to such assets arrive via e-mail instead and, without such access, this difference could lead to assets being overlooked and therefore not properly listed in a probate scenario, he adds. Without an estate plan that lists account user names and passwords, it certainly will be the website’s terms of service that determine whether your digital assets can be recovered by your heirs or not––and these terms can vary widely from one website to another. For example: Yahoo!, which owns Flickr among other websites, may have the strictest terms of service; it will permanently delete all your accounts and their contents, preventing access by anyone other than you, upon receipt of a copy of your death certificate. By contrast, YouTube does allow heirs with legal power of attorney to gain control of a user’s account and its content, and has a web page that lists instructions for this process. Google, which owns YouTube, automatically deletes any account that has been inactive for more than nine months––including e-mail accounts––but does not take this action specifically because a user has died. Moreover, a YouTube spokeswoman notes to us, that site’s privacy settings for videos allow the account owner to choose among making videos public, privately accessible to a list of up to 25 other invited people, or unlisted and visible only to those people who know the direct URL. Facebook’s policy is different still. “When it comes to our attention that a user has passed away, we put the profile in a Memorial State,” a spokeswoman tells us. “In the Memorial State, certain profile sections and features are hidden from view to protect the privacy of the departed,” including contact information and status updates. Logging in to the account is prohibited, but confirmed friends are able to see the profile or find it via a search, and are able to leave messages on its Wall. In addition, “We encourage users to utilize groups and group discussions to mourn and remember the deceased,” the Facebook spokeswoman says. One Facebook staffer wrote a blog post about memorialized profiles last October, recalling how the company came to create this feature after the death of his best friend, who also worked at Facebook. 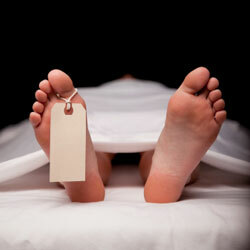 The blog post also links to a form for reporting a deceased person’s Facebook profile. To be sure, planning around the disparate terms of service for all the online accounts you have can be a major hassle. So, a number of recently launched websites now make it easy for you to avoid this morass––by letting you designate “digital executors” or beneficiaries who should carry out your wishes for each of your accounts, offering a place to securely store your user IDs and passwords, and then passing these on to those people when your death has been verified. Legacy Locker, which debuted in April 2009, offers three membership plans. A free “trial account” limits you to listing three digital assets and two beneficiaries. Both an annual plan ($29.99 per year) and a lifetime membership ($299 one-time fee) allow you to list an unlimited number of digital assets and an unlimited number of beneficiaries. Additionally, the paid plans let you upload and store digital copies of your passport, will, wallet contents and other documents, as well as let you compose an unlimited number of Legacy Letters, which are personal notes that you can leave to designated beneficiaries. Every member also receives a card––which can be kept with his or her will––directing heirs to contact Legacy Locker upon the member’s death. And after the website confirms the death, through a multi-step process, the designated beneficiaries will receive e-mails containing links to the information the decedent wanted them to have. DataInherit, which launched June 2009, allows users to store data files as well as user names and passwords, as well as heirs who would receive them. A free Password Safe account provides 10 megabytes (MB) of storage and keeps up to 50 user IDs and passwords, with one designated beneficiary. Paid accounts allow an unlimited number of user IDs and passwords to be kept, boost the data storage capacity, and allow for more beneficiaries: Password Safe Premium ($1.40 per month) provides 100 MB of storage and permits two beneficiaries; DataInherit Silver Safe ($8.25 per month) provides 5 gigabytes (GB) of storage and permits three beneficiaries; DataInherit Gold Safe ($16.50 per month) provides 25 GB of storage and permits 20 beneficiaries. Both the Gold and Silver accounts also provide notification to beneficiaries by courier as well as by e-mail. In addition, all of the accounts can be accessed by DataInherit’s free iPhone app, for you to conveniently access your passwords on the go (while you’re still alive). Entrustet, which rolled out March 2010, offers a free Account Guardian feature that allows you to name one digital executor, who will be in charge of deleting or transferring control of your digital assets––along with instructions about what you’d want done with them–– to any of up to 10 designated heirs. A Lawyer Directory feature lists law firms that have attorneys who are specialists in digital estate planning, currently including seven firms nationwide. Beginning in July, a new Account Incinerator feature ($20 per year) will have Entrustet automatically delete designated online accounts, such as YouTube or Flickr accounts containing videos or pictures you don’t want anyone to stumble upon. These three and more are among the many digital afterlife planning sites listed at thedigitalbeyond. “We’re still very early in this game,” says Carroll. Females between the ages of 40 and 50 years old compose the fastest-growing demographic of Facebook users, he says, adding that he believes 285,000 Facebook users will pass away just this year––a statistic offered by Entrustet co-founder Jesse Davis based on 2007 data from the U.S. Centers for Disease Control. LifeEnsured.com offers a free trial account to which you can assign five digital assets and two beneficiaries, compose 5 final emails and upload 100MB of data. They also offer an annual plan ($24 per year) and a lifetime membership ($300 one-time fee) which allow you to list an unlimited number of digital assets and beneficiaries. These paid plans also let you upload and store files, as well as let you compose an unlimited number of final emails, tweets, blog posts etc. Social media will - it'll be a must have before we know it! I read an article from HuffPost this morning on startup social media websites and what they do with our data when they shut down (article can be found here: http://huff.to/LH3D3j) - the discovery startled me. Fair enough they kept our data to have some sort of use when they decide to have a new venture of a similar sort, but what will happen to the data of those who passed away and what will be the case of family members trying to get access to it? I’ve started looking into having a social media will for myself, especially with the hype that has been building up for the last couple of years. The journey has been daunting, to say the very least. Thanks for this informative post. Many people are not yet familiar with the idea of a digital legacy.There are many online products that can help in managing digital estate. I found one such product mentioned here http://www.wfaa.com/good-morni... called http://www.plannedDeparture.com . But the bigger issue is of awareness and posts like these are helpful.